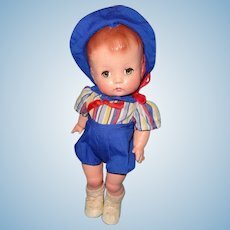 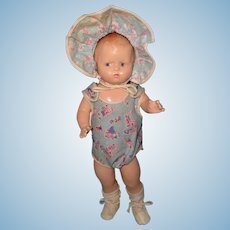 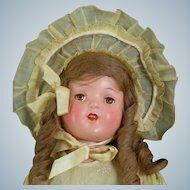 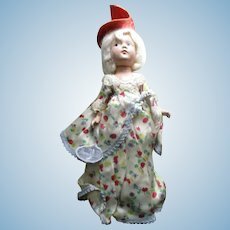 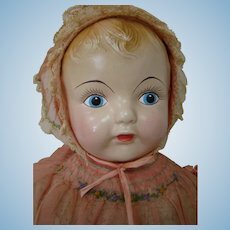 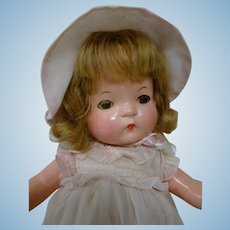 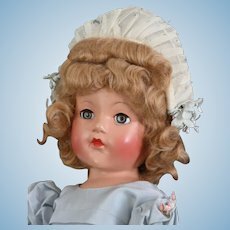 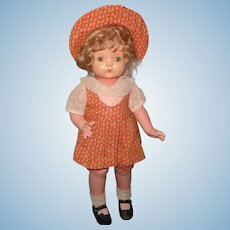 Vintage Effanbee 21" Ann Shirley "Little Lady in Party Frock"
Rare R and B Composition Little Bo Peep Doll. 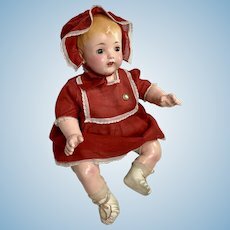 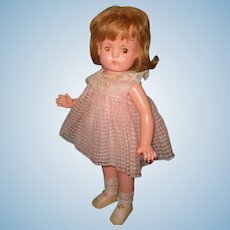 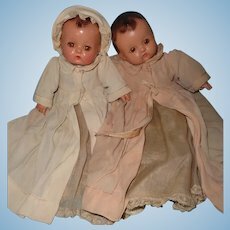 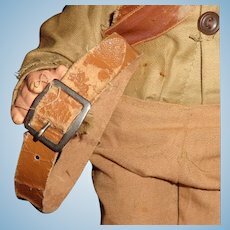 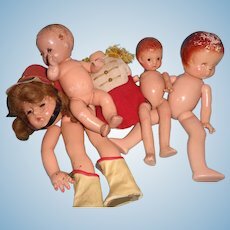 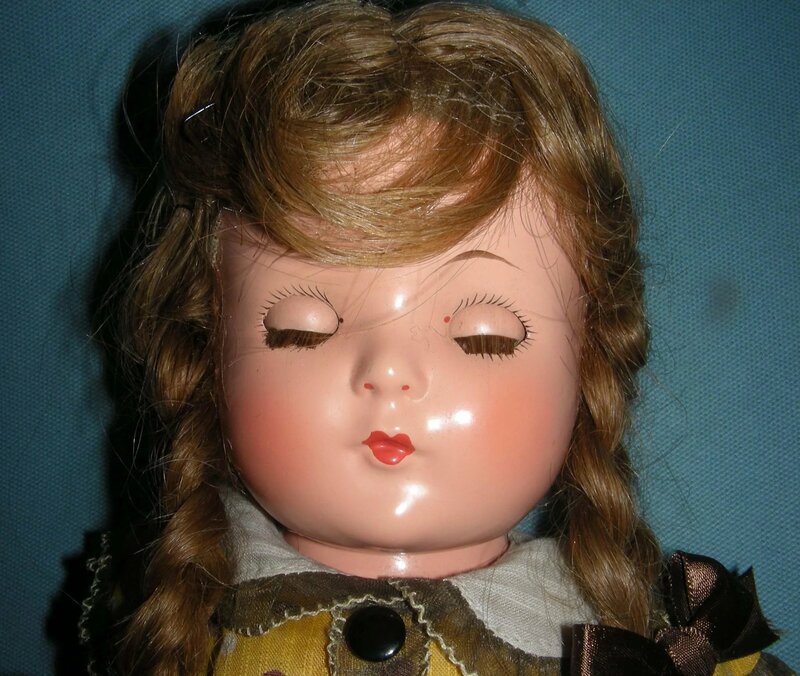 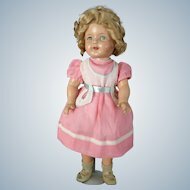 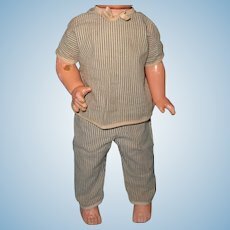 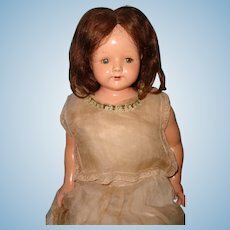 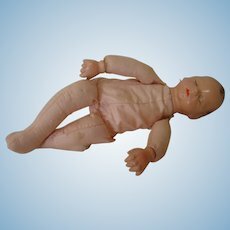 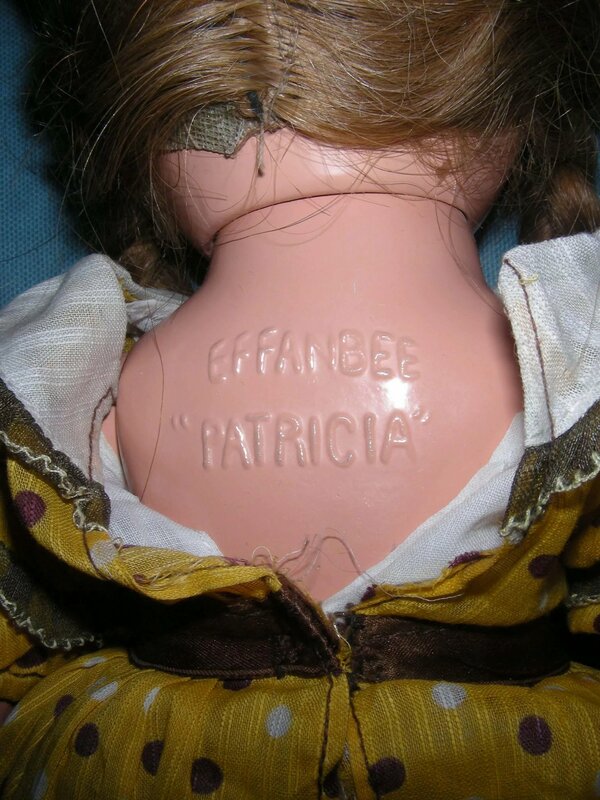 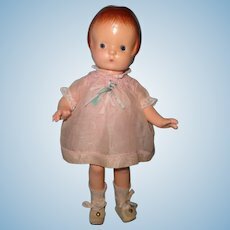 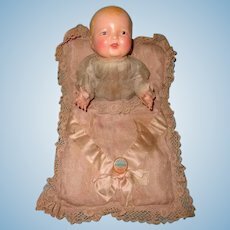 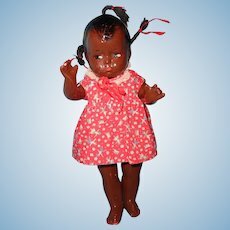 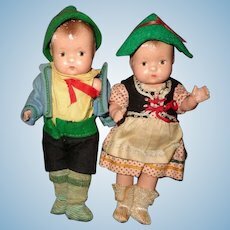 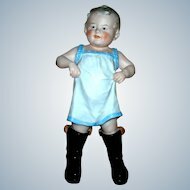 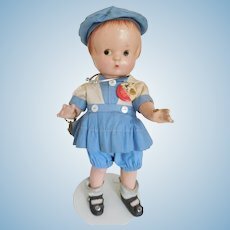 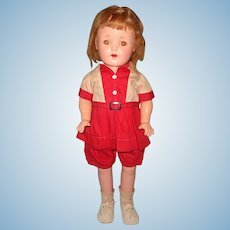 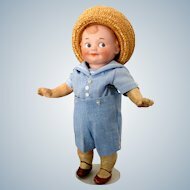 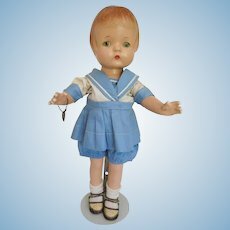 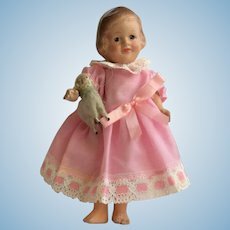 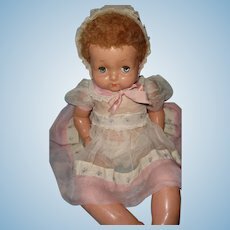 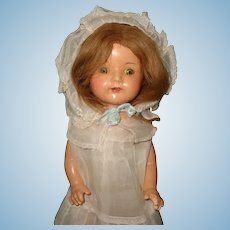 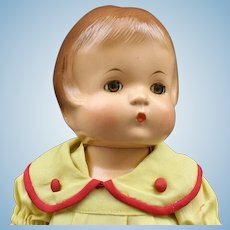 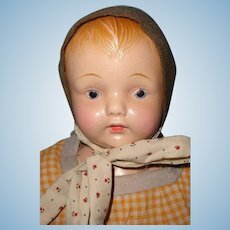 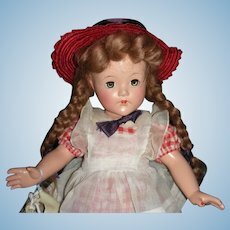 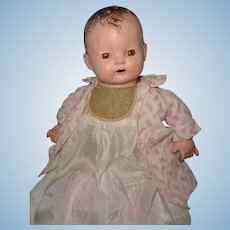 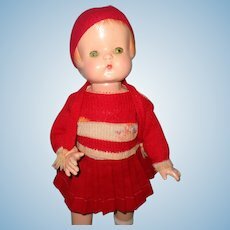 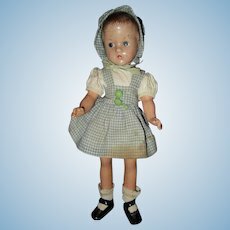 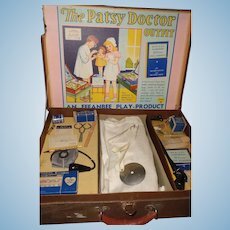 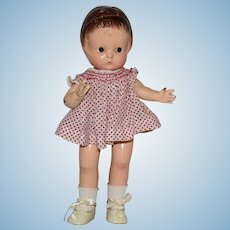 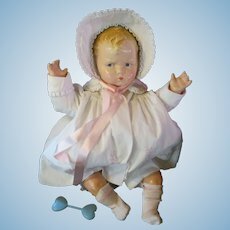 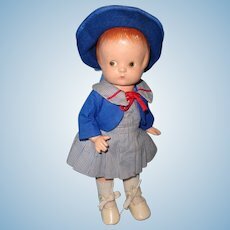 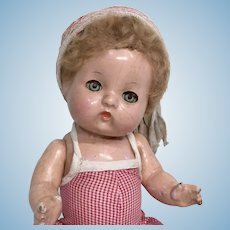 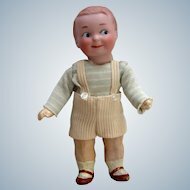 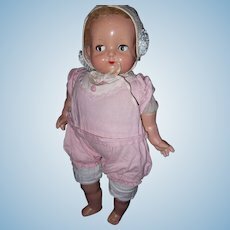 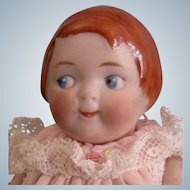 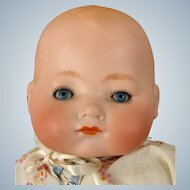 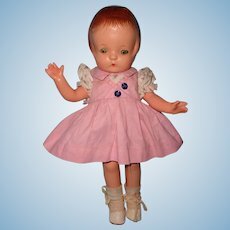 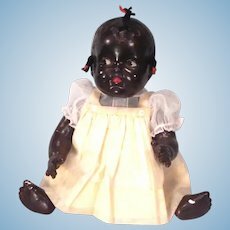 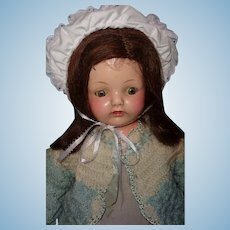 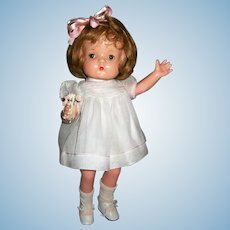 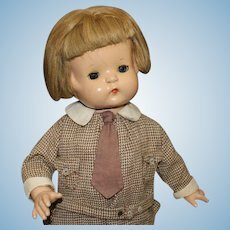 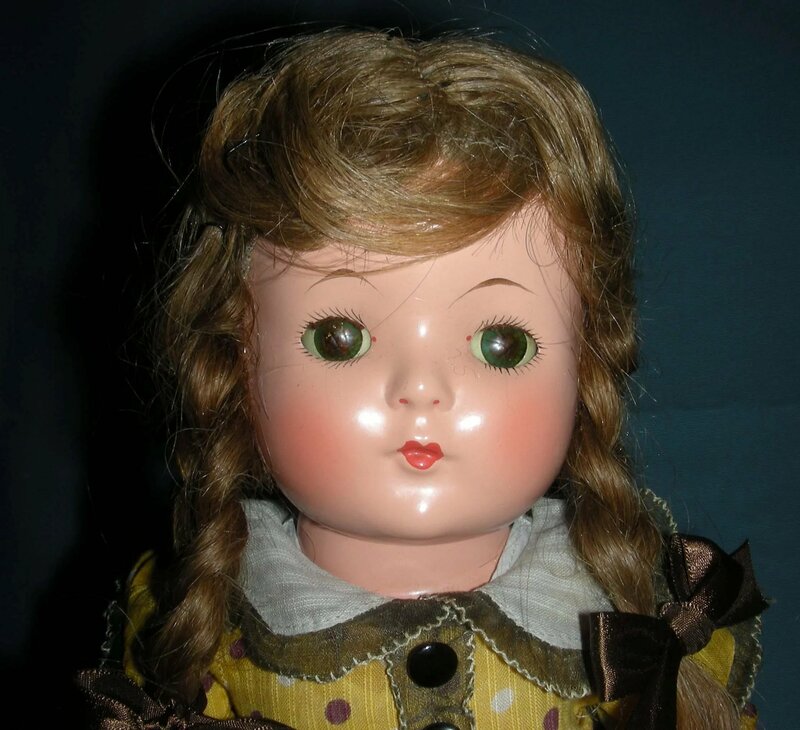 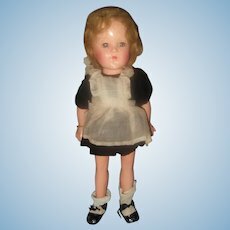 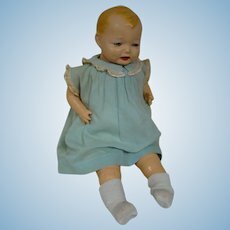 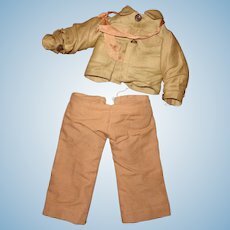 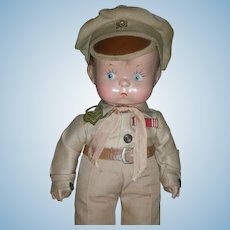 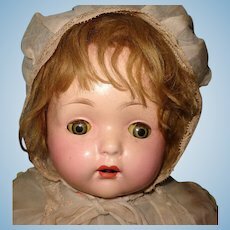 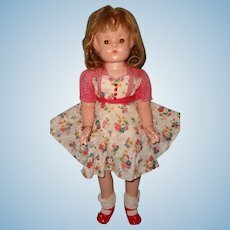 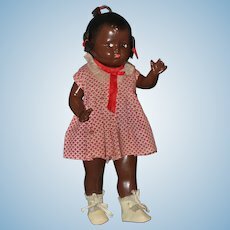 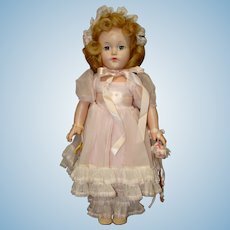 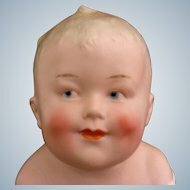 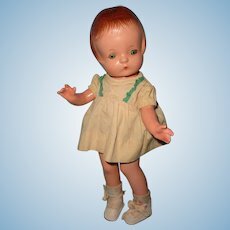 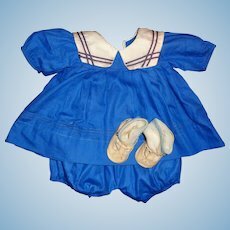 9"
"Little Eva" is a very elusive doll, and without her wrist tag, many think she is just a 15" Effanbee Patricia. 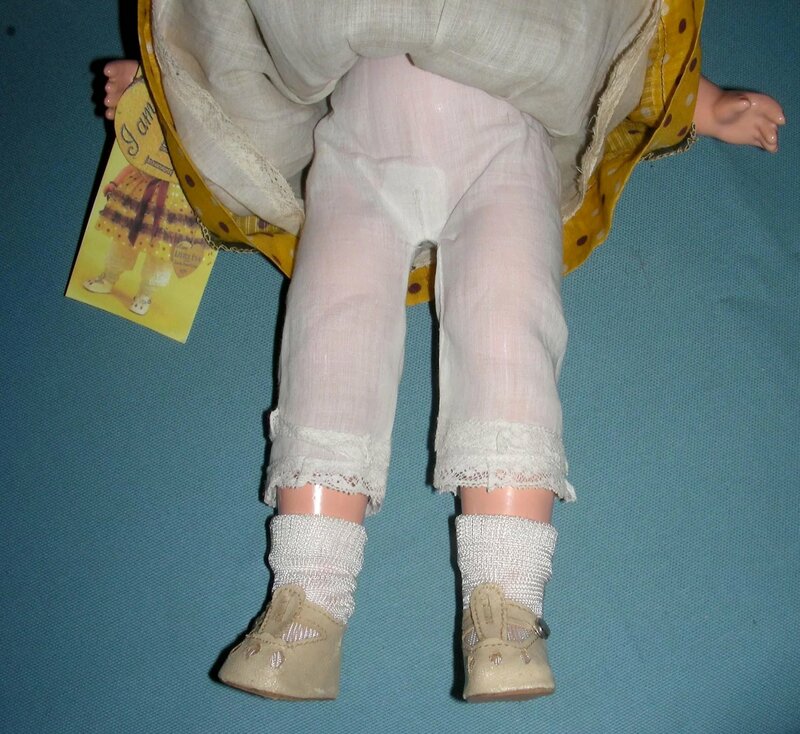 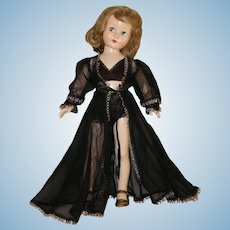 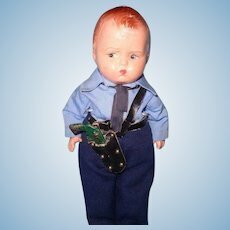 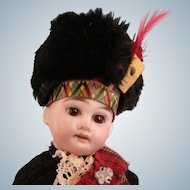 I have a 13" one with the original wrist tag WHICH I COPIED FOR THE NEW OWNER OF THIS DOLL as well as a photo of my doll. 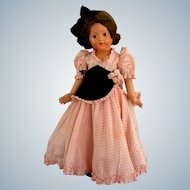 Her composition is flawless and her costume is complete and all original. 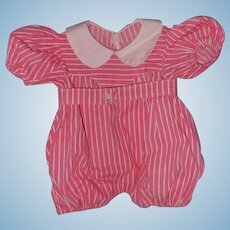 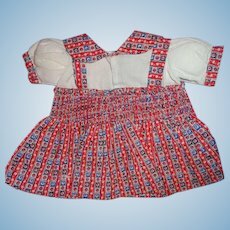 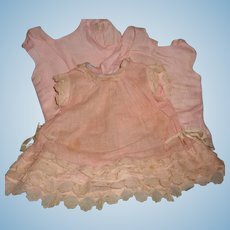 The dress is a polka dot striped dimity trimmed with organdy ruffles and buttons( someone sewed a hook and eye at the back but it can be removed if so desired) . 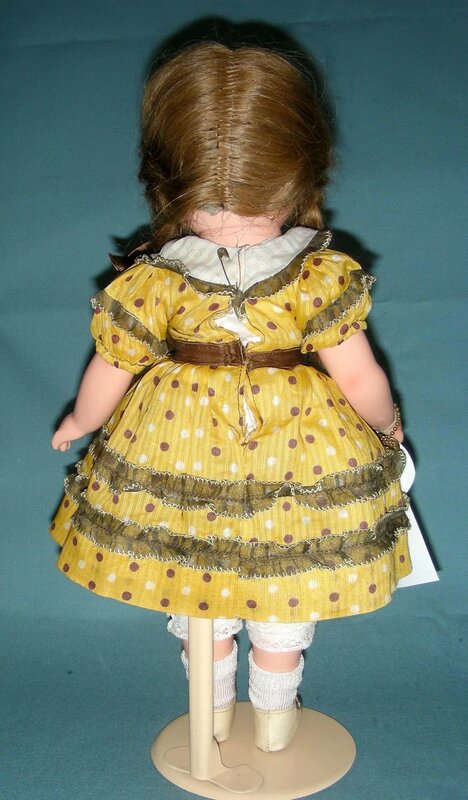 Her wig is human hair set into braids, with original set and ribbons. 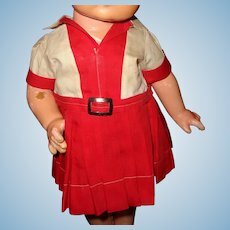 The cotton slip is attached to the skirt and the matching pantalets are clean . 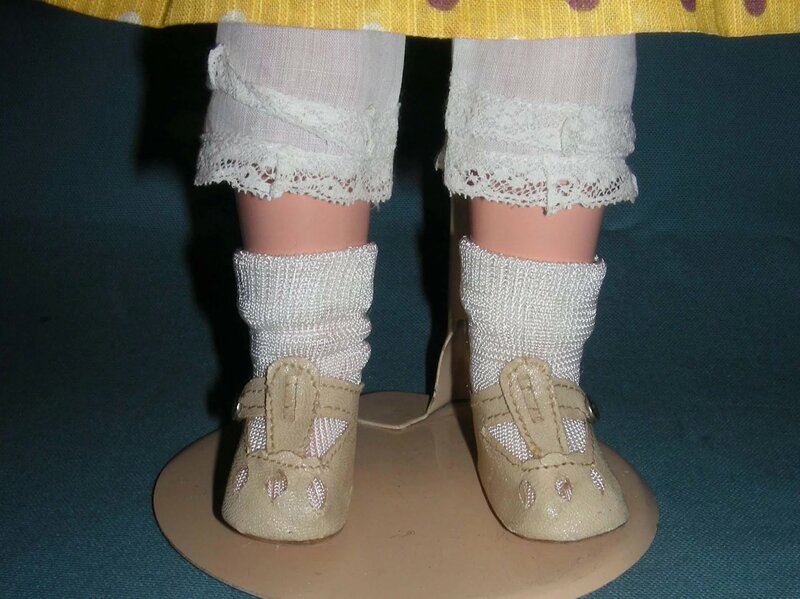 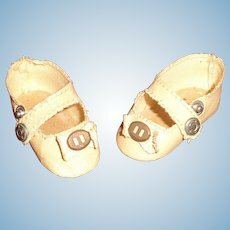 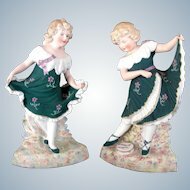 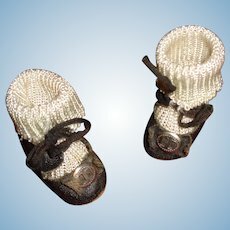 Even her rayon socks and fancy oilcloth shoes are in mint condition. 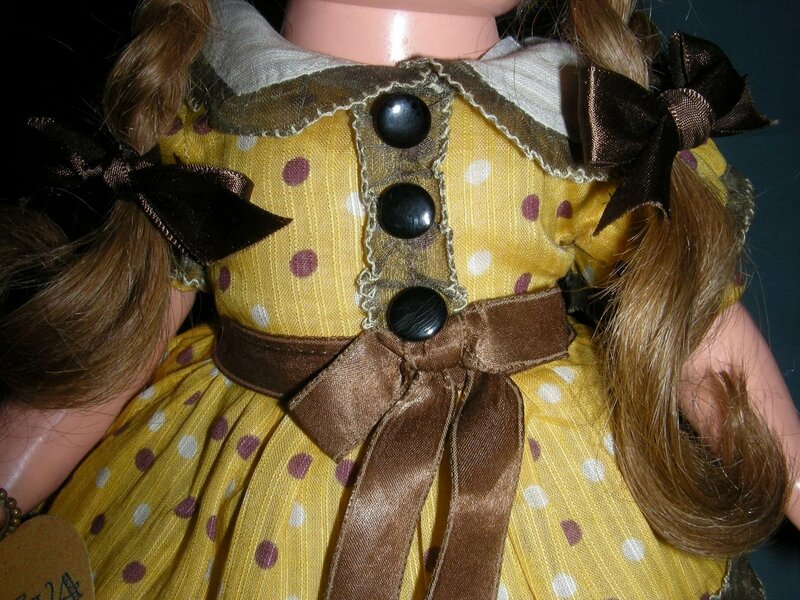 She also still has her original metal heart bracelet. 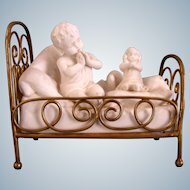 A rare find for the serious composition collector. 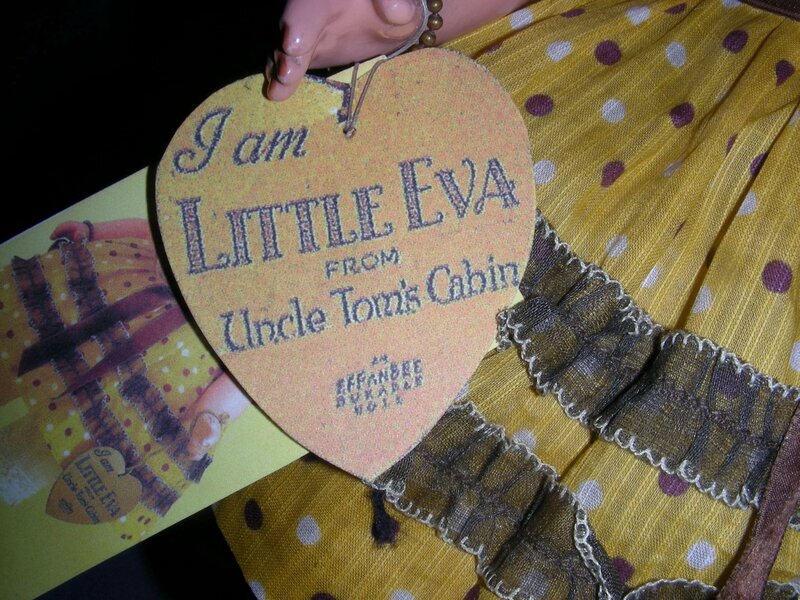 RARE Effanbee composition "Little Eva from UncleToms Cabin"